Viktor drove from Pisky to Kyiv yesterday. It began to snow. Lines of cars started forming. 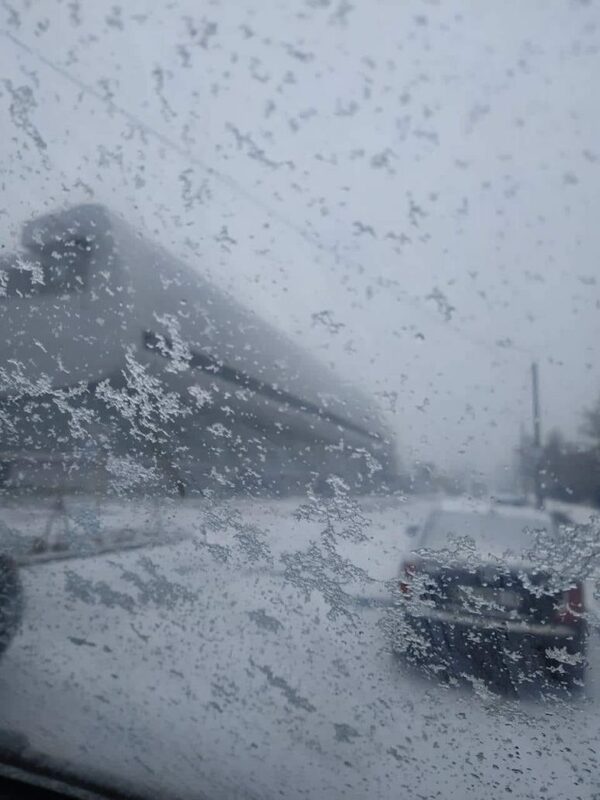 With more snow, cars started colliding with each other – 500 collisions were counted in Kyiv alone. The snowplows could not work, as the streets were full of cars. Summer tyres did not help in the first snow. There were queues to places where tyres were changed, but the news said that the next free times would be on Tuesday. On the way home, Viktor saw how buses left their passengers to walk the rest of the way. Cars collided, because there was no way of steering them. Thank God, our minibus has winter tyres, and the journey went safely.